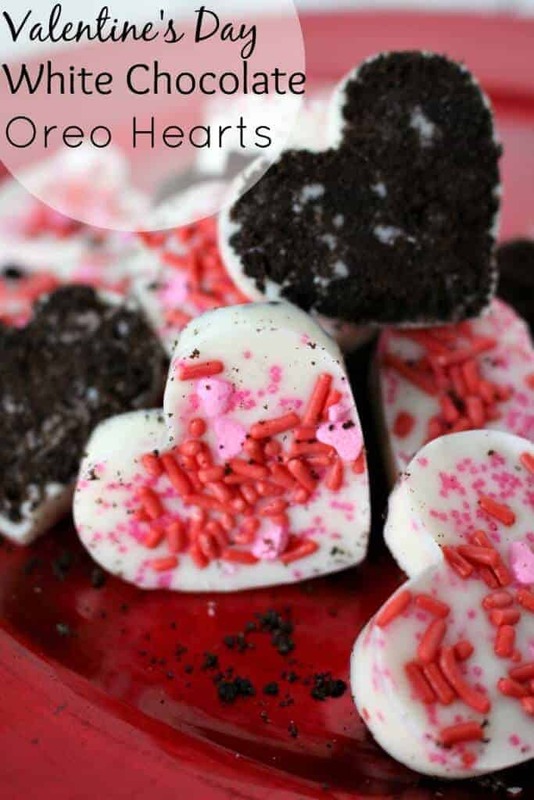 These White Chocolate Oreo Hearts are perfect for Valentine’s Day – Three ingredients and they take no time at all! Valentine’s Day is around the corner and I am always looking for some new fun (and of course super idiot proof) treats! Joey and I decided to try something new yesterday and let’s just say we hit the jackpot with these White Chocolate Oreo Hearts! Three ingredients and they take no time at all! What more can you ask for? I mean, seriously, there is nothing like an Easy Valentine’s Dessert that is beyond delicious too, right! 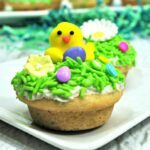 And the sprinkles – in my opinion sprinkles make EVERYTHING better! If white chocolate isn’t your thing (I am not judging) I have some other great Valentine’s Dessert too – just check these out! I am super proud of these Valentine’s Day Chocolate Heart Bowls that I made a few weeks ago – they are CRAZY easy to make (but they sure don’t appear that way!) and you can fill them up with the candy of your choice! I am trying to order your red heart shaped valentine cookie mold. 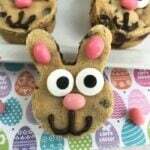 make the recipe with the chocolate chip cookies dough. . Can’t seem to find it. Hi Gina – I don’t see the exact one – but here is the link http://amzn.to/2BrhsYL – Michael’s and Joann’s usually have them!